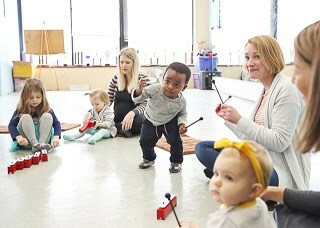 You'll learn twenty-five Music Together® songs and activities you can recreate at home. Your children will experience the contrast between galloping, slowing, sleeping, then jumping up with delight to gallop again in "See the Pony Galloping". The whole class will treasure the opportunity to see one of the daddies' best monkey impressions during "One Little Owl". 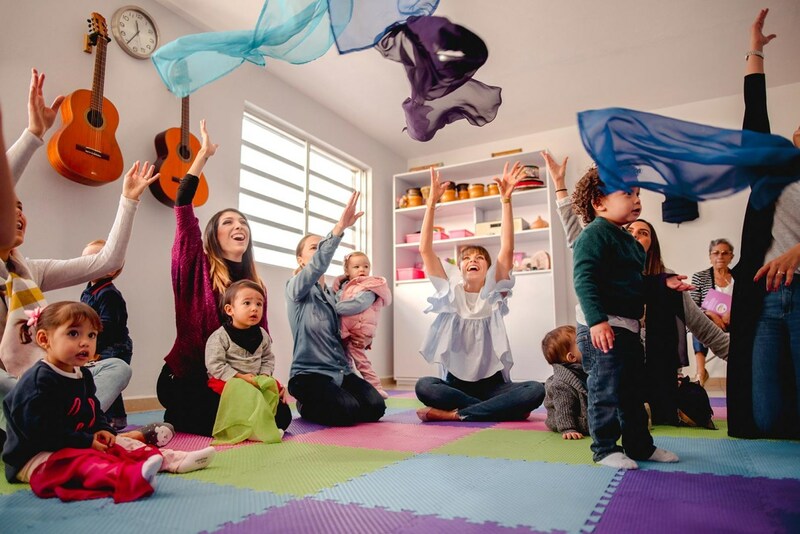 In addition to your weekly classes, your tuition includes recordings and materials for you to use at home, a family newsletter with more at-home music-making ideas, and online access to the songs through the Hello Everybody app. Join our no-pressure-music-making community for our spring session and bring music into your family’s life! select "Pay Later" and pay with a check or cash on the first day of class. Cancellation Policy: Registrations canceled prior to the 1st day of the semester will be refunded in full. Registrations canceled after the first class meeting and receipt of the semester materials (music packet), will be credited to a future semester, minus a non-refundable (per semester) administrative fee of $41. There is an one-time $10 fee for families new to Heart & Beat Music.